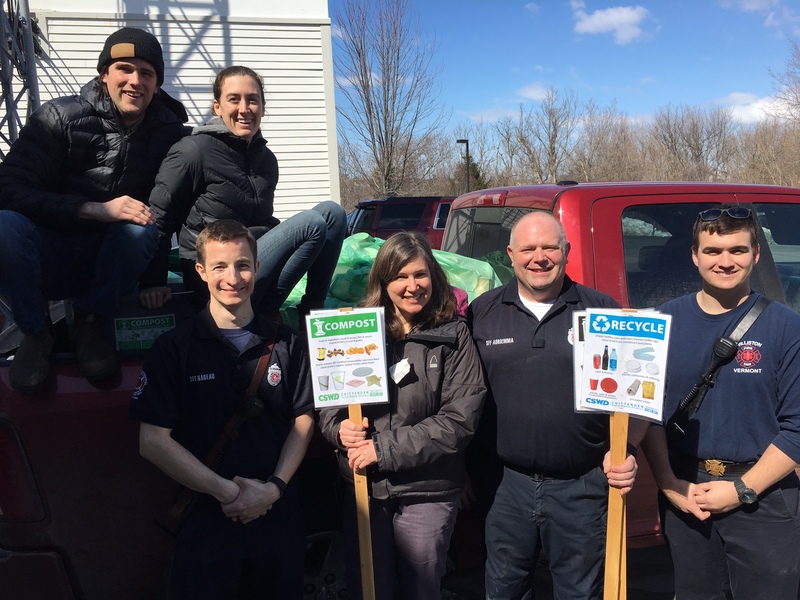 Sustainable Williston volunteers and Williston Fire Department staff pose after the March 2018 Pancake Breakfast fundraiser. Big parties are great, but a big event can mean big waste! Sustainable Williston is working to make as many events in our community Zero-Waste event as possible. A “zero-waste event” is one where all possible waste is reduced or re-directed to recycling or compost waste streams. This means using reusable materials where possible (signage, cutlery, etc. ), then making sure disposables are recyclable or compostable (table settings, containers, etc.). The goal is to have the smallest trash volume at the end of the event. It’s hard work, but it’s fun too! What Williston events are zero-waste? If you have an upcoming event, contact us to discuss waste-reduction strategies and possible partnership.